Home / Advice / relationship / Why cheat in a relationship??? 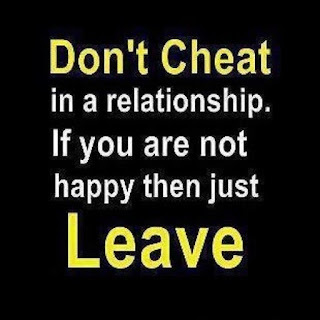 Why cheat in a relationship??? "Can you believe that the coward just called and told me its over?" I chuckled and asked her "which of them?" "Mike of course!!!" She screamed. Lucy has been my friend for a long time and I know she can't actually stick to dating one person (I wonder if there is "faithful" in her lexicon). She would call me each time one of her "lovers" broke up with her. The cause of the breakup is always from her. She can't maintain one guy and yet she keeps screaming in their faces about how the other guy would have handled the situation. I don't really know if she thinks all guys want to be aware that their partner is having many others and still be comfortable in the relationship. Lucy doesn't want to hear of that. If one of the guys find out about the other; she doesn't feel sorry instead she claims that she is not the first person to be involved in cheating plus she isn't too sure if he is not cheating too. Even after acting like she doesn't care; she would cry for days, remain sullen for weeks and curse herself when any of them breaks up with her. But once she gets over him; she is back to her life and picks off where she stopped (without learning any lessons). Her voice brought me back and she said "help me please. You know I can't lose Mike, I love him like mad" she always says that and I have no idea if she actually mean it each time. At this point I just told her "you know there is nothing I haven't told you about your numerous partners! There is nothing I can do now" she would start crying and telling my that Social Workers do not turn their clients away! (Actually, am still a practicing Social Worker). The next thing I do is to tell her that I will help her if she promise not to try crazy things again. She would start singing her pledge but I know she will still fall back to her normal life after my intervention. 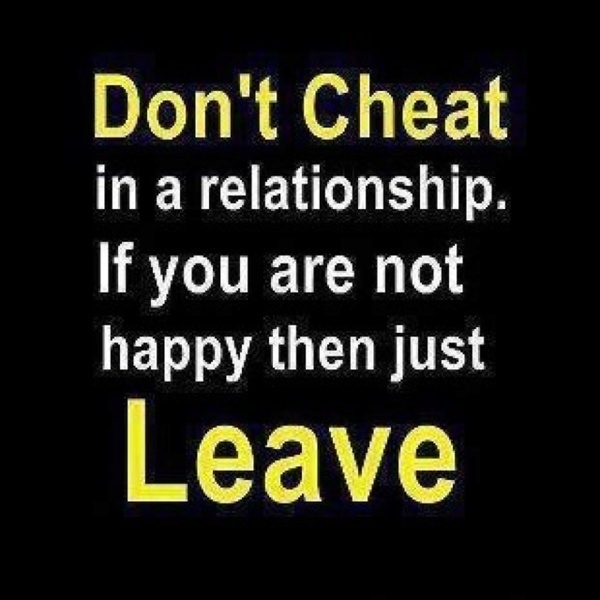 Frankly speaking, I don't see why someone would want to cheat in a relationship. I do suggest you leave if you aren't satisfied! Or better still, you can make your partner do those things you see in the other person that is making you run there. Lucy would always scream "I can't have just one guy oooo!!! I better remain single" I always tell her to go for the second option! Seriously, why cheat and stress yourself? Someone once said in defense that she needs a rich, cute, tall, fair, caring and romantic guy but she hasn't found all these in one guy so she picked different guys with the qualities and is dating them all!! That sounds crazy to me but cool to others. I have studied my friend's life and saw the bad side of cheating which clearly outweighs the good side (if at all there is a good side!). When you cheat in a relationship; you will not be relaxed, you are always on the move (rather, on the run), you live a life of pretense, you always have to tell a lie, you will never accept you are wrong, you are always stressed out, you tend to believe that your partner is doing same, you tend to be scared when you are with one; praying that the other doesn't see you both etc etc. This is the little I could grab from my friend's lifestyle. The only good thing (I don't think its good though) is that when you have issues with one, you can just run to the nearest one and soon forget about the other. But in all these; you are only playing a game and messing with your heart (and others too) because its obviously not love! Well, I prefer to stay alone than have to cheat and deal with all the above! Instead of cheating; why not try a better option- stay faithful and see how you will fall in love with all your partners flaws! Teach them to do those things you see outside and want to run to, they will do them if they truly love you! If you aren't comfortable you can leave and go to that person you desperately need and not cheating and making the situation difficult for you and others. Just saying my mind though; what do you think? Why do people even cheat? ?